Together with a team of 22 scientists, Professor Bazbek Davletov from the University of Sheffield has recently created and characterized a brand new molecule that can ease inflammatory and hypersensitivity pain. Published in the Bioconjugate Journal, the study was conducted in Cambridge, at the Medical Research Council’s Laboratory of Molecular Biology. The elements used are Botox (Clostridium botulinum) and the tetanus toxin (Clostridium tetani ). Botox can block neuronal communication that carries pain signals, and in contrast the tetanus toxin marks the central nervous system extremely well. When the two elements are combined the result is a treatment that might help people deal with neurological disorders, particularly patients with epilepsy and chronic back pains. The tetanus and Botox neurotoxins look promising; Professor Davletov added that current painkillers can only temporarily relieve the pain, and that an injection with the new molecule can provide long term results. Studies are still being performed, and they have great hopes that the new Botox injection will improve the lives of people who have to endure chronic pain frequently. 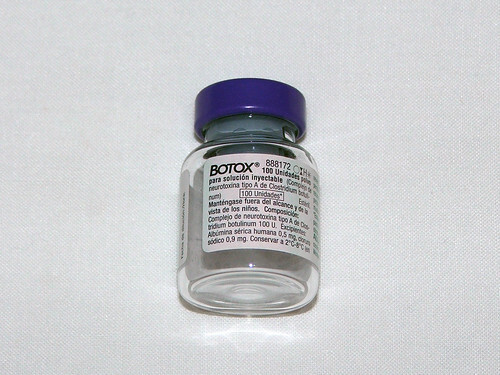 Widely advertised and marketed as a beauty remedy, Botox is also a medical treatment. After being tested over and over again, it managed to showcase positive results in people with chronic pain and epilepsy. Botox got approval from the FDA to be used in the treatment of chronic migraines. To release the pain, the injections are made into the neck and head. The substance is also used to treat excess sweating and muscle spasms, and by 2018 the global Botox market is expected to reach $2.8 billion. Critics have emphasized the idea that there’s no enough information to attest that Botox can have long term effects, especially since it was linked to death and respiratory failure. Most people know about Botox because of its extensive use in cosmetic surgery, and only very few people know that it can also have certain curative effects. How can Botox treat epilepsy? Epilepsy affects 1-2% of the global population and it is characterized by recurring seizures. In clinical terms, a seizure is a brief form of abnormal electrical annoyance in the brain, and most symptoms depend on the region of the brain that was affected. No matter the type or severity, the seizures must be taken care of immediately. Otherwise, they might interfere with the patient’s daily activities such as swimming or driving. Simply put, it affects the quality of our lives and it should be medically treated. Intractable epilepsy that comes with painful seizures is rare and extremely difficult to treat. Hence, in order to test the efficiency of the new botulinum toxin, a study was performed in 2012 at the Epilepsy Center of Excellence in Louisiana. The study was performed on two patients; they both received several Botox injections every 2 months. Patient 1 was suffering from painful seizures in the right hand and arm, while patient 2 suffered from painful seizures in the left leg and foot. As the seizures got better, the injections were discontinued. The level of pain was significantly reduced in both patients, and the effect lasted for about 2 months. The severity of the seizures was also reduced; however the frequency and duration remained the same. For the two patients, the Botox injections worked and the results showed significant improvements. How can Botox treat chronic pain? A recent study conducted at the University of California revealed that Botox injections can significantly improve chronic pain. Throughout the study’s first phase, the injections were done in the painful muscles of the shoulder and neck. Subjects that claimed improvements were able to move on to the next phase. Split in two main groups, the patients were given Botox injections and Placebo (saltwater). The results were quite astounding. Patients experienced significant pain reductions and the severity of their headaches was also diminished. While it’s true that Botox can significantly improve your physique, the drug made of the botulinum toxin can also have other medical benefits. Studies have managed to prove that when modified Botox can help people cope with conditions such as epilepsy, severe migraines, and chronic pain. The effects are not permanent but they can last for up to 3 months. Additionally, there has been a growing trend among CEOs that they using Botox Injections to paralyze their facial nerves associating with emotions so that no one can guess anything from their face. It is a different tale, so we will discuss it at some other time. New botox injection truly halpful for chronic pain and for patient its relief news.